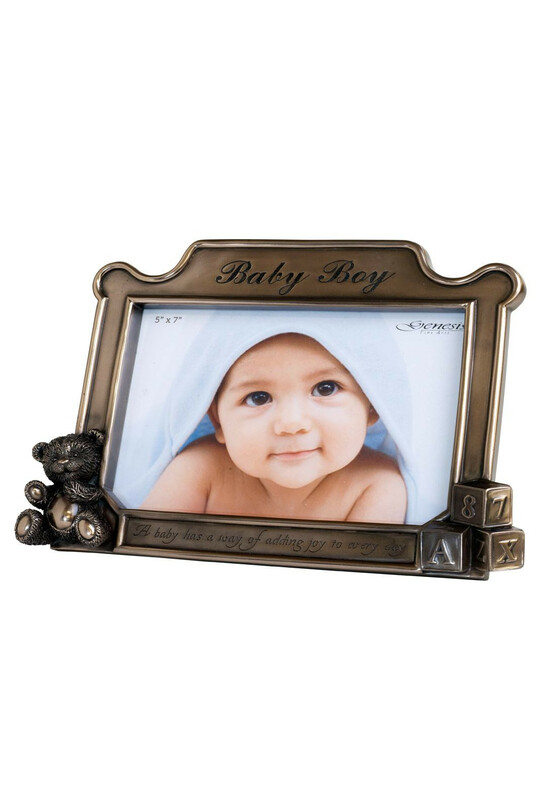 \"A baby has a way of adding joy to every day\" is inscribed on this beautiful frame which from Genesis Fine Arts in Mullingar. Ideal gift for new baby boy or a christening gift. Designed to hold a 5 x 7\" photo.